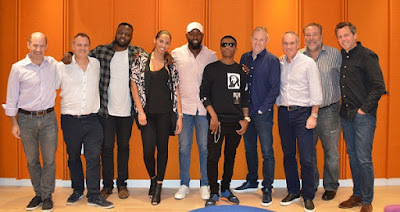 Nigerian singer, Ayo ‘WizKid’ Balogun, has signed a multi-album worldwide deal with RCA Records, under Sony Music International. Wizkid made this known to Billboard’s website in a statement on Wednesday. “It’s hard for me to describe what I do, since I work with rhythms from Afro-Beat, reggae, hip-hop, dance hall and others,” Wizkid told Billboard. Peter Edge, RCA Records chairman and CEO, expressed delight at the signing of the African superstar. He was quoted to have said, “We are thrilled to welcome WizKid to the RCA Records family. He has become a superstar in the African music scene and will be a game-changer in bringing African music to the world. Wizkid who was previously signed to Banky W’s Empire Mates Entertainment, has released two albums: 2011’s Superstar and 2014’s Ayo. Adam Granite of Sony Music International described Wizkid’s signing as “incredibly important”. “This is an incredibly important signing as we look to make Africa a major source of repertoire for the world. Wiz is a key ambassador for this movement and we look forward to helping him conquer the globe,” he said. One Dance, Wizkid’s hugely successful 2016 collaboration with Drake, thrust him into the global spotlight. The Ojuelegba singer is currently working on his debut album under RCA Records.